There are a few problems with the iPhone 4 and Apple are fully aware of these. 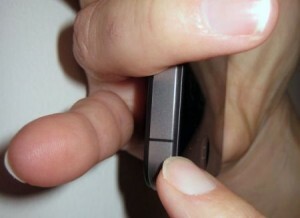 Since the release of the phone, there have been many complaints regarding the so called ‘death grip’ phenomena. This is where you lose some of the strength of your signal when you hold the phone in a certain way and there are some people that have reported calls dropping altogether when it comes to the iPhone 4. However, there are a few ways that you can solve this and they aren’t that difficult in some cases. Of course, the easiest way to solve this iPhone 4 reception problem is the way that Apple suggests and this is by buying a rubber case for the phone. However, although this will solve the death grip issue, it will also make the iPhone 4 more bulky and will make it less visually appealing. Some would say that this is a small price to pay for the phone to work probably but the fact of the matter is that a phone shouldn’t be dropping calls at all without the case. Another way that you can fix this problem on iphone reception is to actually just wait for the next release of the iPhone. Apple is well aware of the problems with the iPhone 4 and with the iPhone 5 set for release within the next month or so, it might be worth just waiting if you haven’t already got an iPhone 4. Share with us here if you have a much better tips to fix this kind of problem on iPhone 4.